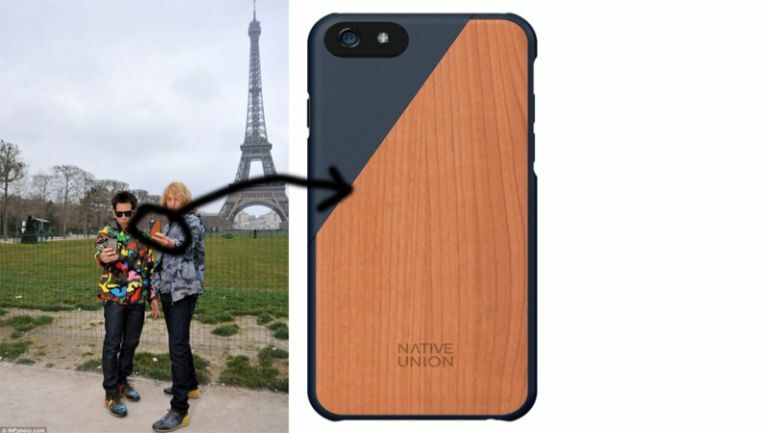 In what is either the best or worst product placement of all time,Native Union's really really goodlookingCLIC Wooden casegot the seal of approval from Hansel out of Zoolander yesterday. According to a Native Union spokeperson, "Although NU do utilise product placement, it is more likely that this opportunity is down to the actor using a Native Union case for personal use." Said spokesperson also added, slightly cryptically, "We know actors do enjoy the products Native Union make, and have a strong presence in LA." It does seem a fitting match for Hansel to use a well honed, wooden case, as he's a more earthy, spiritual kind of male model. He loves the work of Sting. The music Sting's created over the years? He doesn't really listen to it, but the fact that he's making it, Hansel respects. And as someone who, "as a kid… was always more interested in what bark was made out of on a tree,"he would also respect the fact that Native Union's case is made from sustainably harvested American wood that ages naturally over time. This means it would also offer some protection, for when he's rappelling down Mount Vesuvius (he's never even been to Mount Vesuvius - it was just the peyote he'd been smoking for six straight days). Continuing the synergy, Native Union says the CLIC is "inspired by the latest trend in the furniture industry", but we can't see what that is. Wood? Anyway, it comes in a choice of six colours: black, white, marine, coral, olive and blossom. It looks like Wilson is using the marine model. Both Hansel and his arch rival Derk Zoolander are using iPhones in this picture and, of course, Apple is making a big push to become a fashion brand with the launch of the Apple Watch, its first wearable, unless you count the iPod Nano on a strap. But words like "beauty" and "handsomeness" and "incredibly chiseled features"? For Apple, like Hansel, that's like a vanity of self absorption that it tries to steer clear of. The CLIC Wooden is available now for £34.99, for iPhone 6, 6 Plus, 5 and 5s. If you haven't seen Zoolander, we'd like to apologise for the fact this article probably made no sense. What is this? A centre for ANTS? !